Does inflammation cause the usage principle? Saturday morning I was typing at home, thankful my fingers were doing better. It seemed perfectly reasonable to get up and go on this short errand. As I got out of the car, I thought let’s do this quickly. You can probably guess what came next. I dragged myself as far as I could, but within a few minutes, I sat on the floor because I couldn’t find anything to sit on. My knees and hips would not hold me up another second. The next two hours passed that way with me sitting at the grocery store to rest, too. At least they have chairs! My hips, knees, and feet were screaming when we got home. I looked down at slightly puffy legs and felt like I had a revelation. Inflammation. Screaming is what our joints feel when we talk about the usage principle. But inflammation is probably what’s actually behind it. That’s why NSAIDs work. Or prednisone. Many patients like me have been told that we have no inflammation because our inflammation markers are not severely elevated (CRP and sed rate). That’s why many have fibromyalgia attached to their diagnosis. There has to be an explanation for joint pain, fatigue, and fever with “normal” markers – and that one makes sense to some doctors. Over the last week, I’ve been reading a detailed new article on anti-CCP – read abstract here. My eyes sometimes glaze over during science lectures, so I read this thing five times. Determined to get it. “During inflammation, when many cells die by apoptosis or necrosis, it is possible to detect citrullinated proteins at the site of inflammation, both in animal models of inflammation and in the inflamed synovial tissues of patients with or without RA.” So, citrullination occurs at the site of inflammation. Anti-CCP tests measure anti-citrullinated protein antibodies (ACPA). My anti-CCP has stayed very high (over 250) while I had “no inflammation.” Why did Dr. Dip tell us “Anti-CCP is always that high in RA patients, but it doesn’t reflect inflammation”? By the way, if you’re in the minority of RA patients who fail the anti-CCP test, the article indicates future research should lead to tests for ACPA-negative RA subgroups who have a non-citrulline-dependent immune response. Click here to read the description for the illustration of current theory of the RA inflammation cycle – it’s a good summary of the article if you don’t have access to the full pdf. Link to view diagrams in the inflammation and anti-CCP article called Anti-CCP antibodies: the past, the present and the future. rawarrior Interesting point but what about response to medicines? If inflammatory should you have response with adequate drugs, dont you? The RA cycle might also give us clues about the development of new therapeutic strategies. Most current treatments (such as biologic agents and methotrexate) are directed at step 5 (that is, to achieve decreased inflammation and cytokine production). Other approaches have targeted step 3 by decreasing antibody production via B‑cell depletion therapy.87,88 However, despite such treatments, the production of citrullinated antigens and ACPA continues, as does the production of immune complexes that stimulate inflammation. An alternative, and possibly very effective treatment, therefore, would be to block extracellular PAD activity (step 2) by applying a specific PAD2/PAD4 inhibitor. Such a treatment would inhibit the production of citrullinated antigens and, consequently, the production of ACPA and immune complexes. Even under the most optimal circumstances of a clinical trial, at least 1/3 of patients are non-responders. These are CRP-positive patients, who seem most likely to respond. They are patients who have not failed numerous other drugs. (According to exclusion standards of most CT.) Should we assume that this 1/3 does not have active RA and were chosen mistakenly to particpate in the trials or that the treatment does not aim at the specific mechanism in the cycle which may instigate the inflammation of their particular subtype of RA? It is also likely that the answer cannot yet be given because of the complexity of the pathways within each stage of the process which are being studied by researchers around the world. My new Rheumy insisted that I don’t have RA because “the RA meds I have been taking are not working”. Therefore I “must have fibromyalgia”. Great post and Happy Birthday to Roo! So please Thomas the Tank Engine is still cool. He was my favourite. I don’t have any inflammatory blood markers so it took seven years for me to get diagnosed and two operations on mangled joints. Finally someone decided to ultrasound my joints and get an MRI out for good measure – the inflammation lit up the screen like a fireworks display and I finally got a proper diagnosis and treatment. It definitely made me question whether I was mad over those 7 years. I knew I had joint problems and was too young for OA but kept getting told it must just be sporting injuries (despite me not exactly being sporty). Interesting post. We have a long way to go with ra research. I am betting that there are different causes for ra. 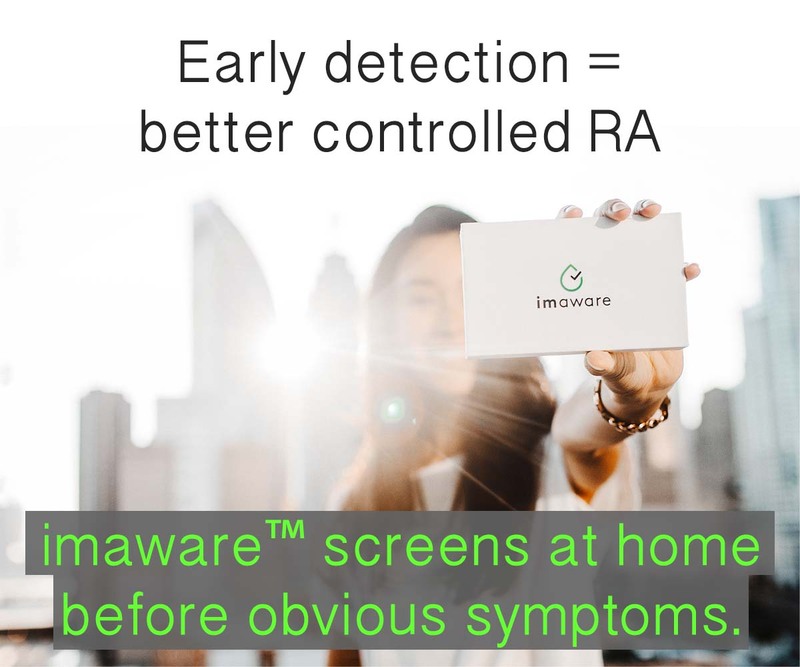 RA is an autoimmune response and once research can target what things set off the immune systems of ra patients and how the immune system is working in each response…I believe explanation for why some show visible inflammation and some not will also be explained. I just wish doctors would stop trying to push squares into the predefined circle of ra. And what I find even more disheartening is that doctors just give up and call it quits by categorizing patients. Unfortunately your doc(s) will get to the uh ha stage once your joints show deterioration. And at that point…well you will then be dealing with permanent damage as well. Keep looking for that doctor that will work with you. 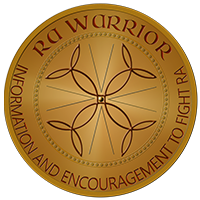 Unfortunately at this stage of the ra game..that is all we have to gain control over this disease…a doctor that will listen and work with us regardless what the “tests” might say. You need a doctor with eyes that will watch your body and not just the results on a test paper. Since I am sero negative, I was diagnosed with an ultrasound on my hands and wrists. When I didn’t see much relief from 20mg of MTX, my dr said he couldn’t believe it. According to him since I am sero-negative and my count is staying below 20, I should not be in much pain. Unfortunate for him, the radiologist was training an intern while doing my ultrasound. I distinctly heard him say that the disease in my wrists was more than moderate. I already have evidence of erosion. Also wonder if 10mg of Prednisone is responsible for my count staying low? I am now down to 5 mg but only because I am insisting, have been on it for almost a year, scared of the damage it can do. Of course I have increased pain since lowering the dose but learning that this is a fact of life for most folks with RA. Had a nurse tell me that I probably know more now about RA than my dr who is fairly new. Honestly, don’t think they should let anyone be a Rhemy unless they have RA. What a concept! Oh, you know how I feel, I bet you do! Happy Birthday Roo! Your mommy is a special person who does so much for others. it can seem so logical to us Becky. Wondering if it’s partially due to the fact that we have more information which is partially due to the fact that we aren’t discounting any of our symptoms. We are aware of more of them & we believe them. Then we talk to each other and it makes even more sense to us. The ones who don’t “get it” don’t seem to listen very well – from what patients have said here over the last couple of years. I agree that pred can influence your count, but so can your genetics or your sub-type of RA. Not responding wonderfully to mtx is not rare. I remember asking a researcher about that idea about a year and a half ago – he told me that a doctor using response to mtx in any “diagnostic” way is ridiculous. Thanks for good wishes. The lasange sauce is smelling good! Becky – I should have mentioned that you should do a search here on seronegative – esp in the stories pages – there are many people w/severe erosive disease who have neg rheum factor. those type remarks from doctors who should /could know better bother me. Wow, this is really relevant for me. I was at the rheum 2 weeks ago and I have not been responding to the MTX. I still have a lot of pain and stiffness. I have a really weird presentation too. 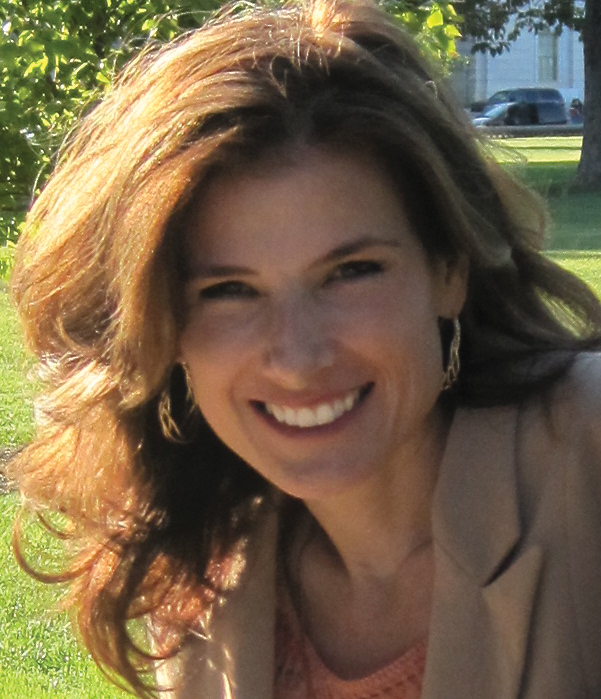 It all started after my third child was born and my body went haywire. Basically, it all started with my right knee and has spread to my hips, feet and hands. But the dr basically told me that any pain i had that wasn’t my hands and feet couldn’t be RA and i must have fibromyalgia too. I’m not really on board with this and I’m feeling frustrated. I’m also sero-negative, but my blood tests showed higher than normal levels of inflammation, which is why my dr diagnosed me with RA to begin with. I’m terrified that he’s going to say it’s all fibro pain, which I rally don’t believe. Ugh. I hate how frustrating is all is. I really appreciate all the info you post. Hope Roo’s birthday was fun, also for you, despite the pain. You help me to see that my tendency to negate or deny RA is always a danger. That’s partly why it took so long to get a diagnosis, as my family practice doctor kept saying my SED rate was low normal and did not indicate RA. That’s another reason I appreciate all your links. Hoping you feel better soon. 1. We have those Thomas bath toys! My son had a Thomas-themed birthday party when he was two – lots of fun. I didn’t even try to decorate a cake – the local grocery store created an amazing Thomas cake. We also held it at a park that has a real train, and the kids had rides. 2. The anti-CCP issue has been driving me crazy for some time. I was severely sero-positive when we started out, and my bloodwork has gotten better and better – except for the anti-CCP. My current rheum believes, as this article suggests, that anti-CCP is an active inflammation marker – therefore, my continuing symptoms make sense to him, since he feels that the anti-CCP number shows that I am not under control right now. But at least two other doctors, one of whom is a major expert at a large cutting-edge research hospital, insist that anti-CCP is only useful as a prognostic indicator, and that I should never expect it to go down, even if I were in complete remission and all my inflammation was gone. I don’t know WHAT the heck to believe anymore. The fact that anti-CCP also shows up so early in people sometimes just confuses me more. As always, thanks for putting all this information out there! I went to my rheum appt today. He is checking my anti-ccp. He hasn’t checked my crp or esr for over a year. Maybe he knows something? My anti-ccp has not been checked since diagnosis 2 years ago by a former doctor. If you can forget for 5 minutes that you have RA, i say go for it!! I would miss you but I’d rather you felt better! They should not get “nasty” if you ask. But I know what you mean. If you are curious, they should let you have your own copies of any labs so you can look them up and learn about them IF you feel like it or if you ever need them in the future. Thanks Kelly for this important post and for helping to raise awareness about this issue. I am seronegative and rarely have elevated CRP or sed rate, but like you, I do have RA. I received the new issue of Arthritis Today in the mail yesterday and promptly sat down to read it. I have been a subscriber for less than a year, but it took me only one issue to form a negative opinion of this publication. So now when I sit down to read it, I do so with skepticism. I will read it as long as it arrives in my mailbox, but I will not renew the subscription. Anyway, the point of the foregoing rant is to call your attention to the story on Page. 94 – “At the Boundary of Mind and Body”. It is written by the Chief of Rheumatology at Duke, and it tells the story of a patient named Diana. Diana presented with symptoms including neck pain, back pain and tenderness in the finger joints. The author and physician immediately suspected inflammatory arthritis and ordered the relevant blood tests. When the tests came back normal, he determined that Diana had fibromyalgia and proceeded to ask her a series of questions related to her psychological health. I read on as my blood boiled. I could easily have been Diana when I presented with all of the symptoms of RA and normal blood work. Thank goodness I have a brilliant physician who looks at the big picture and is on the forefront of RA research. Otherwise, I would probably be functionally disabled, something that I fear for “Diana” due to the fibromyalgia label assigned to her. And to think this was written by the Chief of Rheumatology at Duke – an institution with a fantastic reputation. This tells me that we have a long way to go when it comes to fighting this battle. And yes, I did write a letter to the editor to express my disappointment in Arthritis Today for publishing this article. Most people I’ve met with RA have told me they have the same reaction to the AF / their magazine. Thanks for letting me know about their latest piece. I believe you are right on target & I’m so glad you have a brilliant physician, too! We do have a long way to go – you might search the name of that magazine here on the blog to see a couple of other similar stories that folks brought to my attention. My heart is so sad that we have to battle all this on top of battling RA. Imagine if you had cancer or diabetes and you had to find a doctor willing to treat or convince them your symptoms are real! You’re right that it’s sad that it’s the chief rheum at Duke. Today I read one that was written by the chief of rheumatology in the U.S. – that made me sad. And a friend on Facebook who sees a prominent RA doc posted that he’s now doubting her diagnosis based on blood tests. Heart sinking. ps: since when is pain in finger joints an FMS symptom? Not part of the 18 trigger points. And not on any fms diagram I’ve ever seen. Glad we do have some of the good articles/ doctors to cling to for hope. Kelly, unfortunately there are many doctors who believe FM is in the joints. This is really bad for RA patients. Talk about confusion! My first doc said FM is amplifying my joint pain. If a doc ever says that to you, run as fast as you can! OMG Marie, I did the same thing yesterday about that article. I wonder what she really has!! My blood boils throughout the whole magazine as they lump OA and RA together with “exercise is the best medicine”. Please tell my constant fever that, never mind the rest of my symptoms! Because my daughter was already seeing a rheumatologist and was impressed with him, I elected to travel two-and-a-half hours to visit him when tests showed that I had a positive ANA and high RF factor. Subsequent tests at the new rheumatologist’s office turned up a high anti-CCP level, too, and he began aggressive treatment right away: MTX, followed quickly by Enbrel instead when the MTX wasn’t proving effective. This was despite a normal SED rate and no obvious evidence of swelling or disfigurement and a somewhat unusual RA onset. It was always my intention to switch to a closer rheumatologist at some point, but after reading so many of the stories and comments here, I think I’ll travel as long as I can to this doctor who solicits my impressions, educates me about the various medications and asks for my input in determining what will work for me and my lifestyle, and is otherwise the kind of doctor who believes in a doctor-patient collaboration. It’s not just because my bloodwork was positive that he’s treating me: my daughter is sero negative so far, although he believes she will not always be, and he’s treating her based on her report of her symptoms. That was my thought exactly Kelly! This woman presented wtih finger joint pain and she still received the fibro label. Incredible…. I remember when I was going through the dianostic process and my labs kept coming back negative. My physician actually said to me, “Don’t worry, I’m not going to tell you that you have fibromyalgia.” After breathing a huge sigh of relief, I asked him to explain his reasoning. He said, “because your pain is clearly emanating from your joints! !” After a trial of prednisone proved that my pain was inflammatory, I was quickly started on DMARDS. I would really like to know if the Duke rheumatologist gave “Diana” a trial of prednisone before diagnosing her with fibro. Based on the article, I would guess that the answer is no. The more I think about this article, the more insulted I feel. I may just throw my next copy of Arthritis Today in the trash upon receipt. What is the point of reading it when I know I will just become insulted by the non-science based garbage that they publish? This is the stuff that I read all the time – I know how you feel. Wow he actually said that out loud – proof this guy is a home run. Second, some require a large dose of NSAIDs or pred to respond. I’ve read of various minimum thresholds of prednisone for example up to 50 in order to get relief. Also NSAIDs – some get relief at doses near to OTC doses & others need mega doses to respond, but eventually do. Never say never, Tracy. But what we need is to go see someone with a recommendation. I have the same issue with Mayo. Folks keep writing me, “Why don’t you just drive to the Jax Mayo since it’s only a couple hours?” Cuz I’ve heard stories like this. There are some good RA docs. Have you looked through the list here? We are compiling a list from a couple of sources. Agree about the doses of prednisone and Nsaids with minimum thresholds being different for each of us, Kelly. Been on prednisone for years but last several been trying to keep it at 7.5 or less since that’s the level the body would normally make. Despite increasing other meds, still in chronic pain making a huge difference in my quality of life. It wasn’t until my last visit with rheumy that we finally hit on what seems to be a great regimine for me (and fortunately without having to go on biologics.) But this has been a 13 year process to finally get to this point! So much wasted time! I am bitterly sweet happy about it though. Anyone want to take a stab at explaining that? Did your treatment change? Did your RA seem less active? Was it the same lab? Same lab. Diagnosed with PMR in January. I had pain and stiffness in my neck, shoulders and legs. It came on a few weeks after I had a flu-like illness over Thanksgiving 2010. I was so stiff I could hardly turn over in or get out of bed, I could hardly walk….just like so many people with PMR. I have not at any point had any swelling and the x-rays show no erosions. The doctor called it a “classic case” of PMR and put me on 15 mg. prednisone. I had the characteristic rapid relief, but then the anti-CCP test came back. I was called immediately back in to the rheum and told “you have RA.” I was put on MTX and immediately tapered off of prednisone. My symptoms got worse as I took less prednisone. So the doctor increased the MTX from 7 to 8 pills.. He was pushing humira or enbrel, but I resisted. My next visit was with the nurse practitioner who wanted to put me on enbrel, but I was still resisting so she added sulfasalazine. 3 weeks later the rheum told me to drop the SSZ, because it wasn’t working. I suggested switching to MTX injections to see if that would work better, so we went to .8 ml and he added doxycycline at my request (he had suggested plaquinel, but I wanted to try anti-biotic). By this point I was completely off pred and the pain was worse, but still in the same locations. When I pointed to where it hurt, the doctor said “you are pointing to your muscles.” He then decided to repeat the anti-CCP. And it came back 22. I haven’t seen the doctor since that came back, but his notes on my blood test said “may need anti-TNF.” My inflammation was high at the time of the test because I was off the prednisone. I have gone back on 5 mg. a day and my symptoms have subsided except for leg stiffness lasting under 1 minute when I stand after sitting in the afternoons, even though I had to reduce the MTX to .6 ml due to elevated liver tests. I think I have PMR and that is what I should be getting treated for, not escalating to biologics as if I have RA. I understand anti-CCP can be there years before RA develops, so maybe that is why it is positive, but my symptoms fit everything I read about PMR.I see the doctor again in July. I dpn’t want to be in denial. …but if my entire diagnosis is based on the anti-CCP test and it has changed so dramatically…….??? I guess she thinks its a form of RA, which could become “full blown” at any time. We can only know for sure after the fact when damage is evident. It seems like you are asking for conservative treatment and there are lots of conservative rheumatologists so you should have that chance. Hopefully this one will work with what you want, but the ccp antibodies were a red flag for RA. Maybe they could be lower now if you are entering remission – it will be interesting to see what happens with them going forward. He may want to repeat the test in case of errror since the earlier results were so high. My understanding is that anti-CCP is not approved for monitoring disease or response to treatment and some insurance won’t pay for it for that purpose. I wonder what sort of changes in anti-CCP people would be seeing if they ran the test more and if it would correlate with symptoms, inflammation or remission. I believe studies on this have had mixed results….but I wonder what is happening in the real world. I agree the test probably needs to be repeated, but interesting that it had already gone down quite a bit when repeated at initial diagnosis. Of course, I am a little nervous about repeating it because I don”t want the 22 to be a mistake! It makes me wonder if this test is all it is cracked up to be. I saw one paper where the doctor said it is more useful in research than being applied to an individual patient in the clinical setting. I do want conservative treatment, but I would go to a biologic if I was convinced I needed to. Right now the doctor says we have time to try other things….and, to me, the next step would be the triple DMARD of MTX, SSZ and plaquenil….but then he turns around and brings up the biologics at every visit. I am not sure we are communicating. He does a lot of thinking out loud and by the time he is done talking we have sometimes gone in circles and I am not sure what he is recommending! He admits he has had patients in the hospital with infections from taking a biologic and even one Enbrel patient who developed MS. It’s not a step to be taken lightly and I don’t take it lightly. He says that the swelling causes damage and since I have no swelling things are less urgent than they might otherwise be. I think my next blood test will be crucial in seeing how much inflammation is still going on. I am pretty confident that the numbers will have come down due to going back on the 5 mg. prednisone and that any attempt to taper off pred should be MUCH slower than what he advised last time. I think it’s your decision as I said. Also, just want to mention that although I am aware that there is literature claiming that swelling “causes” damage, and many doctors quote it, I’ve heard many patients cite that they have severe damage without having visible swelling. It can be seen in comments on this site and in the onset stories. Not saying that’s you, I just wanted to clarify that point. Janice, I’ve always felt tons better on “higher” doses of prednisone and was at 15-20mg for quite a while sometime back. I have RA. But you don’t want the prednisone induced Cushing’s, believe me. Much less the possible other adverse effects like diabetes, glaucoma, etc. I fortunately only got the Cushing’s type ones though. But I did taper down and stayed at 10 for a while, then to 7.5 for a long while. I have been on a VERY VERY slow taper since then and am now down to 1 mg. Besides doing the slow slow taper, the only thing that has allowed me to get to this point without all the withdrawal symptoms has been adding Plaquenil, and increasing the MTX to 25 mg, but splitting the oral dose and taking half on Mondays and half on Fridays. The Plaquenil makes the methotrexate work better. I’ve read a study that showed that the triple combo of older DMARDS, mtx plus plaquenil plus ssz, works just as well as the biologics. I just can’t take ssz because of sulfa allergy but have considered doing a desensitization program in conjunction with an immunologist so I could maybe take it. But just adding the plaquenil and increasing mtx has helped so much I don’t need to do that, at least right now. I had a rheumy who did put me on doxycycline before he would try any dmards. That was in the beginning. By itself it didn’t do anything for me. I have thought recently about trying to add it as there is some evidence for a bit of benefit in OA and periodontal, and maybe RA – I have all three so I was thinking, why not? Haven’t brought it up to docs yet though. I have read the doxycycline takes a long time to work….and I wouldn’t try it without the MTX at this point. MTX seems to be the backbone of most treatment approaches, even the biologics. But doxy is so mild, I also figured, why not? There was one study that said it worked better with MTX than plaquenil. My doctor said there are mixed results with it, but he was not opposed to letting me try it. I am just not sure I am taking enough of it. The sad thing is that once a drug goes generic, there isn’t that much research done on it anymore. I wish there was more investigation of the anti-biotic angle. I had read SSZ has been shown to reduce the anti-CCP level in the first year so I also wonder if I should have stayed on that longer. Three weeks doesn’t seem long enough to give it a real try, but then again, it is supposed to work a lot like MTX and not really add much that is different and I guess I needed something different. Janice, I’m not sure if I’ve seen the one study you refer to of Doxy along with MTX. If you ever find a link to it, let me know. I agree, I doubt three weeks was anywhere near long enough for determining if the ssz was helping, but i’ve not researched ssz that much. It might be a good idea to give the plaqeunil a shot, but it does take a bit to kick in. If it helps some but not enough, then try upping the mtx and splitting the dose. I had liver elevation years ago, but with some switching around of other meds and lowering the mtx (at that time) got mine down in about seven months. I’ve not had any liver elevations since then and been on higher doses since then. Will have to see how they are with the newest dose though. Here is the link…it was actually minocycline in the study.. I didn’t ask my doctor why he chose to give me doxy over mino. I just asked for a tetracycline drug. http://www.ncbi.nlm.nih.gov/pubmed/11665963 My liver test came back normal this week after dropping my MTX to .6 ml two weeks ago, so I guess I am okay for now. I haven’t noticed that changing the MTX has made me any worse. Now I have a name for something experienced in my RD, the Usage Principle. I went to my #Rheumy appointment Tuesday and explained to him how my hands & wrist were useless to me for a couple of days due to lifting a heavy item from the convience store, this happens to me a lot & I’ve always just shrugged my shoulders about it. It’s nice to know it has a name and others experience the same.